For one thing it is made with one sheet of standard size paper …in fact its cut at 10 so you loose an inch at the bottom of the paper… the vertical cards are little easier to make since they just have the medallion and the banner on the front of a white card…and they are using designer paper…I also want to mention that I have a calligraphy teacher Carol DuBosch who uses the phrase ..”.worth the price of admission or worth the space on your shelf ” ..well its my opinion that Dawn showing you to use your bone folder to adhere the tape inside the box (where our hands just won’t ) is worth the price of admission…especially since admission is free …lol… also don’t think I have told you but their( Stamping UP) designer paper is mostly text weight paper its great for layers but it is not sturdy enough in my opinion for cards … Both boxes really only will hold 4 cards and 4 envelopes. While her’s are all thank you cards…your can be whatever you want…birthdday, anniversary, get well, thinking of you , just a note, hello, etc. In fact for me if you are giving these to someone unless you are giving them to a person who just had a recent shower, wedding or baby… it would be nice to make a mix of cards… even if the person is a card maker they probably don’t have time to make up cards after one of these events .. I have a thing for bugs…not all bugs I not particularly fond of roaches but many other bugs are beautiful and even spiders are very unusual and they eat Mosquitos…always a good thing… anyway these bugs are simply gorgeous… they are made from textiles and not all of them are bugs… so check it out think you will enjoy…TEXTILE BUGS. 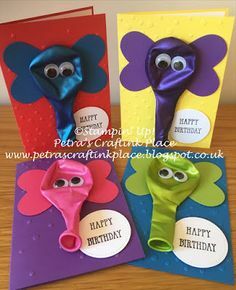 If you are young mom and have little ones in school or day care and you send things to school for party etc… you will enjoy this post by its told from the view point of a working mother who wants those of us CRAFTY enough to come up with cute ideas for things to send to school ….TO JUST STOP…it made me laugh so enjoy. I say FAITHFUL cause my posts have been quite irregular and yet some of you still are finding them… Now I wanted this first post to be about sharing some of the lovely hand made cards I received from friends near and far…so here goes.. 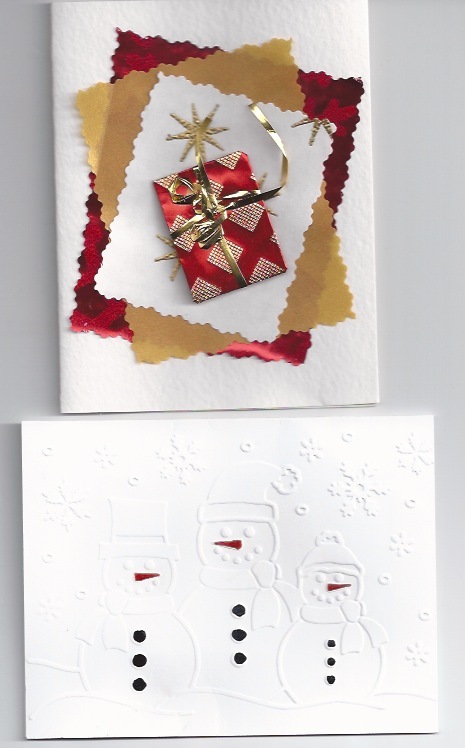 This card was just sooooo impressive… its by SHARON CLYMER, who started as a student of mine years ago and became a very good friend. She is a very talented watercolor artist, calligrapher and as well as a great photographer and she used her photography to make this clever card…she printed the mini picture of the catus bloom on regular paper then reprinted it on photo paper and cut out only the piece of leaf and bloom and using foam tape stuck it on top lining it up with the mini photo this giving great dimension to an already great photo. 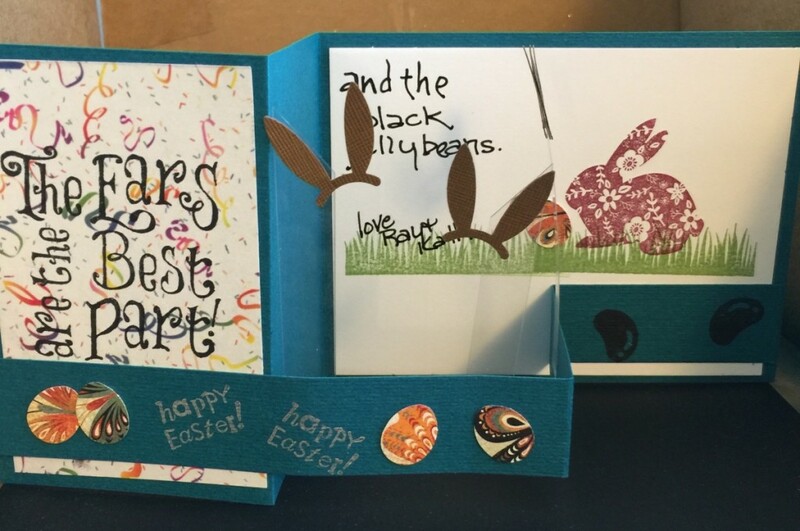 Her lettering at the left is EAGLEFEATHER one of the monoline scipts that I posted here earlier and one that she took from me several years ago and it looks fantastic on the card… the photo corners are real also. GREAT JOB Sharon. 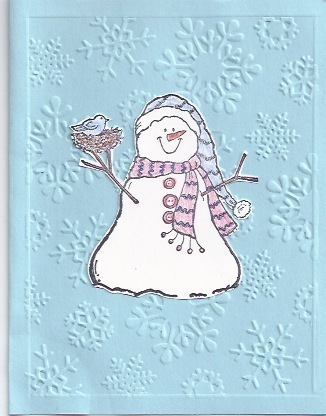 This one is from my e-mail friend JANIS BLEVINS…she had a cardmaking party with some of her co-workers and showed them a simple yet elegant card with embossed background of snowflakes and a simple snowman that was cut out and colored and adhered to the front of the card…just goes to show it doesn’t have to be complicated to be impressive… Thanks for sharing Janis. 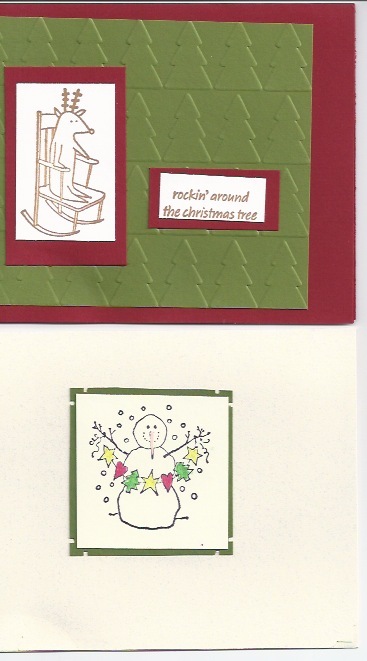 PATTI is my cousin and I love the whimsey in this card and she too used the embossing templates to make a background of Christmas trees…looks fantastic. 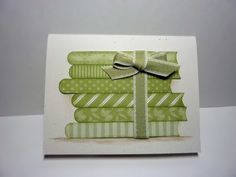 CAROLE CROSE made a simple layer of green on the off-white but look closely at the lovely little corners she punched on green layer… its a terrific punch by Marvey called of all things SOUTHWEST not sure why but it is one of my favorite corner punches, and I loved her little snowman with the paper chain. 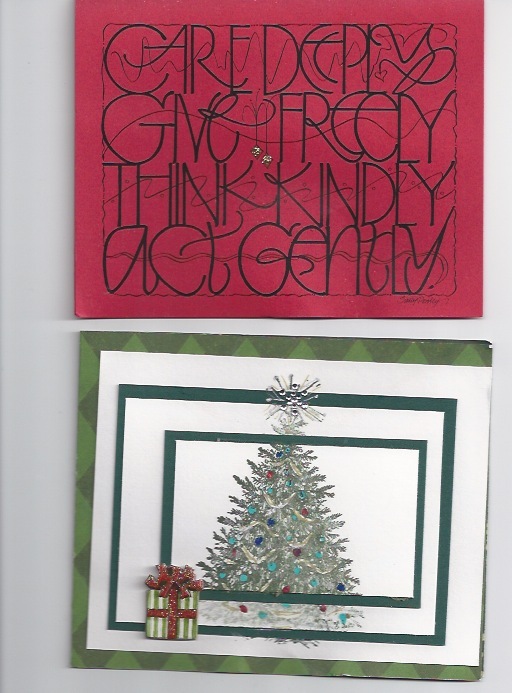 The top card is from EDITH CASWELL calligraphy and cardmaking friend…. Edith’s card is maybe a little labor intensive but also simple and yet very impressive… three layers of Christmas papers….. and remember things don’t have to be perfectly straight…I love the fact that the are askew…and then on top I think she folded wrapping paper over a small rectangle of cardboard to look like a package… she did have to pay extra for postage as that created a bump but what a great WOW when I opened it… Thanks Edith. The second card is by a great calligraphy buddy CHRIS SABO, who always fills my mail box with dynamic and impressive cards. This little beauty is from a pattern by SCS called a SIDE SPRING CARD. 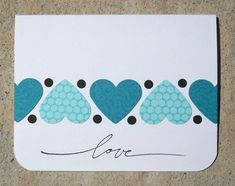 It has a unique fold that creates a lovely little diamond shape on the front of the card. 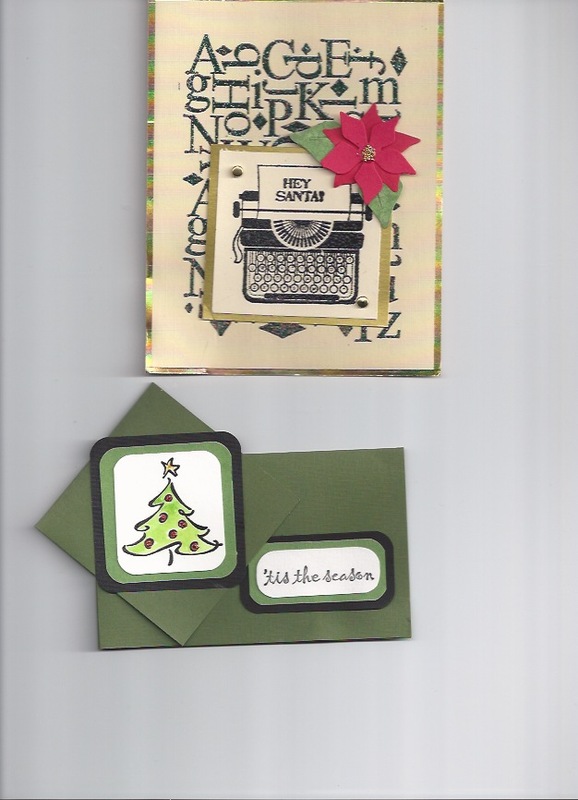 Chris then layered small squares on the front and also on the side with stamped images and words and again on the inside with her greeting. Chrissy likes unique folds as much as I do and always delights me with her designs. 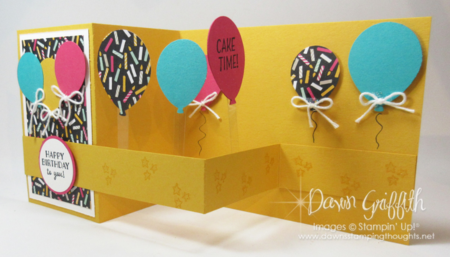 I thought I had posted this fold before but I couldn’t find it so I have given you the link again to SCS in blue for this delightful little card. Thanks for sharing CHRIS.. This card is from a terrific teacher and friend NICHOL RAUCH. Nichol’s signature is the fact that almost all the cards she makes are done with HAND CARVED IMAGES. That’s right she has carved them herself from Erasers and unless she has changed these were probably carved using STAEDLER MARS ERASERS. They are white sorta plastic and while they work just fine as erasers…we have spent years beseeching the Staedler Mars folks to make larger blocks as we wanted to carve larger images….a few years ago they realized ( at least this is what all of us eraser carvers believe) that there was no way people were making as many mistakes as they were selling erasers so they responded and you can now buy a block that is about 4 inches sq and 1/2 in thick to carve on and they actually mark them CARVING BLOCKS. 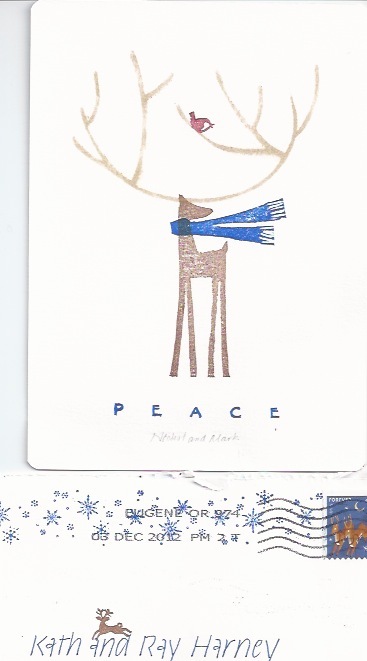 I don’t know what size Nichol used and she could have carved the deer on one block and the antlers on another the birdie is probably from a scrap, likewise the scarf then the tiny letters spelling PEACE are also carved…She is our queen of carving and we all love all her lovely cards. NICHOL, I can’t thank you enough for making me part of your holiday sharing… Also note her lovely monoline lettering on the address below the card. I hope to share some monolines with you in the coming year. The top card is from a terrific Calligrapher SALLY PENLEY and I love how she mingled the letters together….Sally just had a project to make folks aware of bullying called OUT OF THE SILENCE..( it’s on Facebook but I think you can see it even if you are not a FACEBOOK MEMBER) if you click on this blue link you can see about 50 calligraphers who posted pieces to push against hate and discrimination. Check it out for some incredible eye candy and some very thoughtful quotes about tolerance and concern for those who are being harassed or bullied. 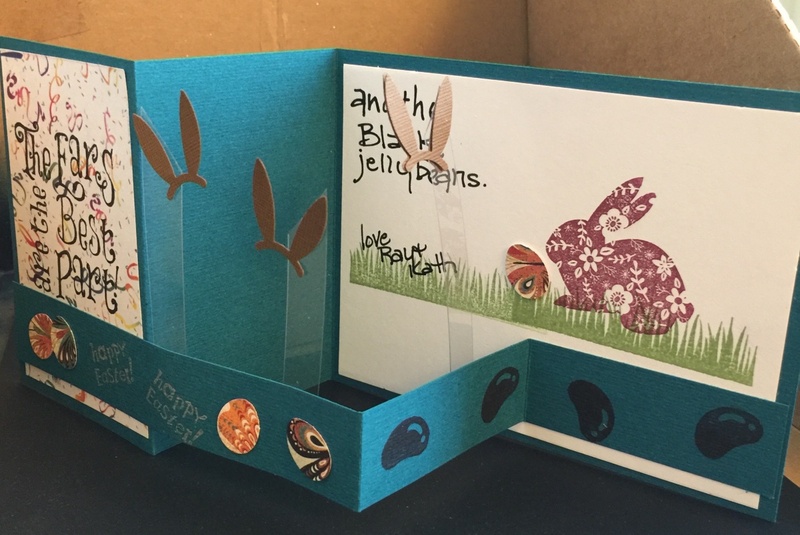 THANKS SO MUCH SALLY for all you do for my card as well as an incredible project. 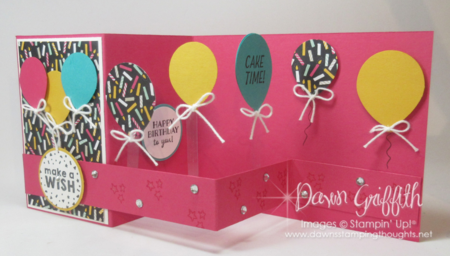 The second card is from BARB BOLTON who only recently started card making due to spending time with her sister STEPHANIE GOGGLEYE who is my WA BFF and main card making buddy… and she was using DAWN’S TRIPLE LAYER method which I posted a few weeks back…it came out great and I love that little package which adds great dimension to the card. 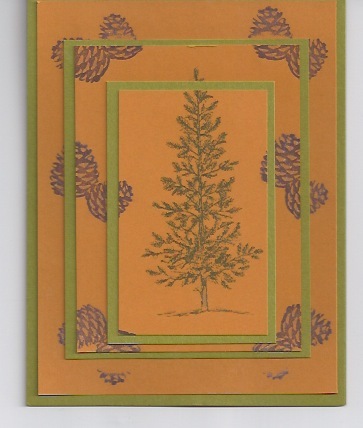 Then the card just below is by her sister STEPHANIE GOGGLEYE… again using that triple layer method of card making this time with fir tree and pinecones. 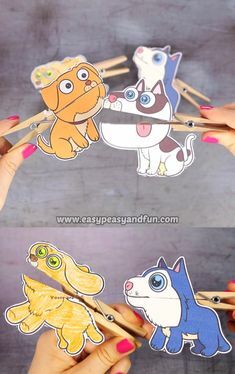 SIMPLE yet fantastic effect. 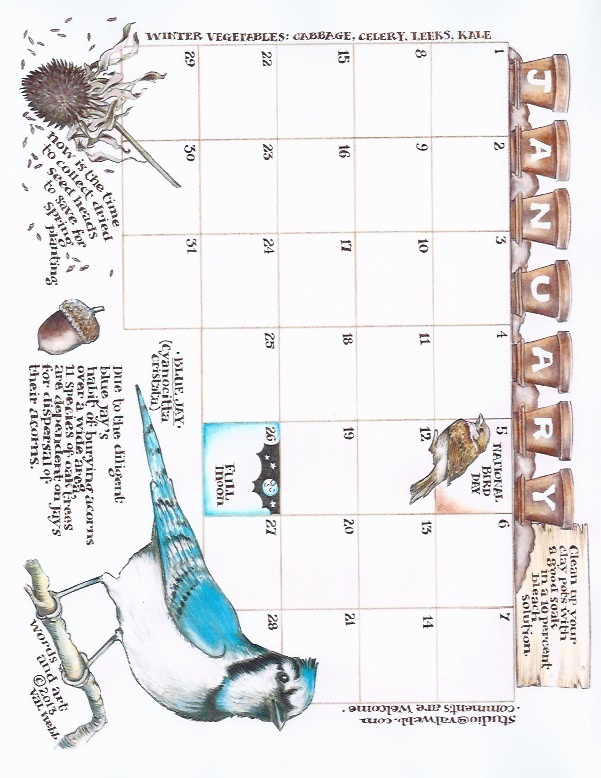 This is from my dear friend STUART FEIL….Stuart drew the mountain and the foothills in with a silver pen. 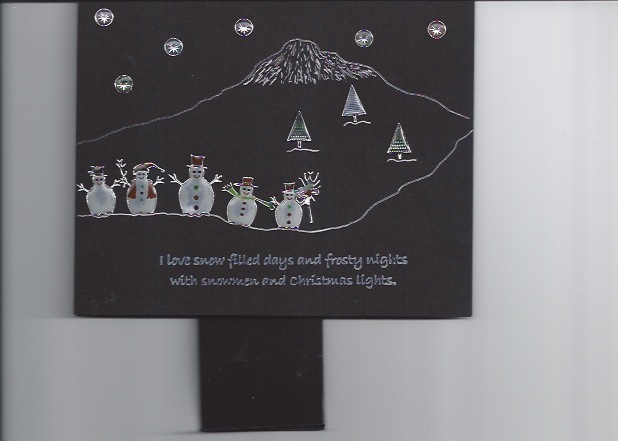 The little snowmen are commerical embellishments along with the snowflakes. But on this BLACK CARD, who thinks to use black at Christmas, they are soooo dimensional… from a distance I could look over at this card and it was like I was looking INTO it…and the little tab at the bottom folds up so that this card can stand on it own…then its too small to show but inside he drew a small bed on the bottom of the card with just the head of a snowman in the bed… so CREATIVE… again I am lucky to be on his mailing list…..but hey that’s what the FRIDAY NIGHT GANG is all about. Thanks STUART….I love it. 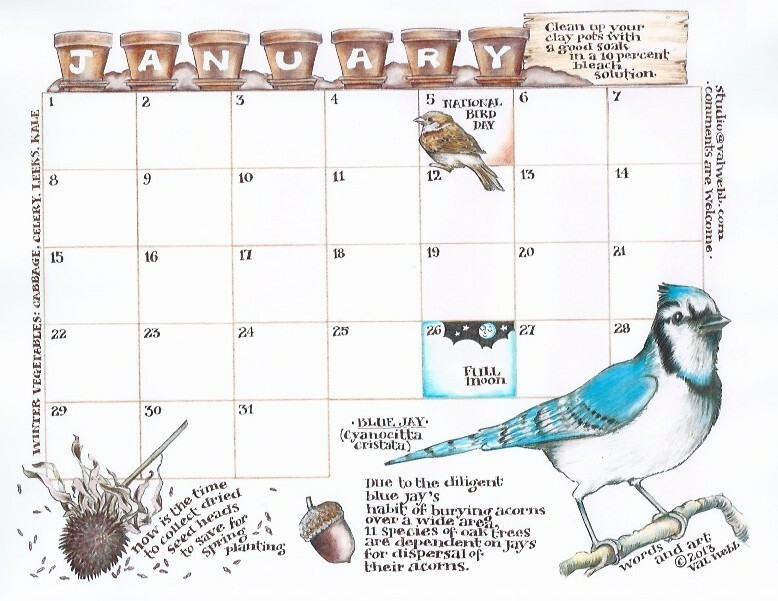 LAST but not least ..I signed up for a monthly calendar page done in calligraphy and with artwork by VAL WEBB.. this is the January page…isn’t it beautiful. 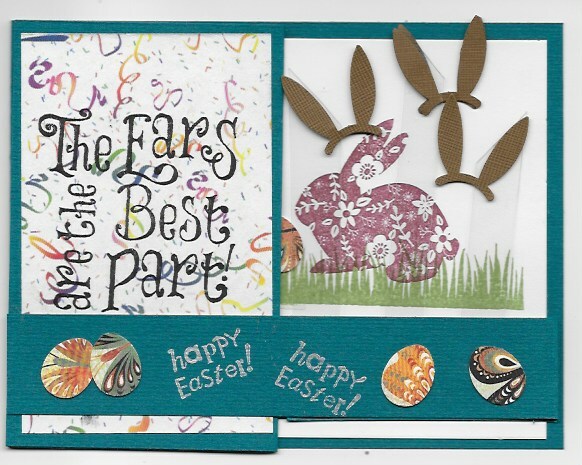 Well hope this gives you lots of ideas for your card making and that you enjoyed seeing just some of the lovely creations that I received. I should also tell you that I am going to limit my blogs to just one idea at a time ( because even I find it hard to go back to the blogs and find things I have posted.) 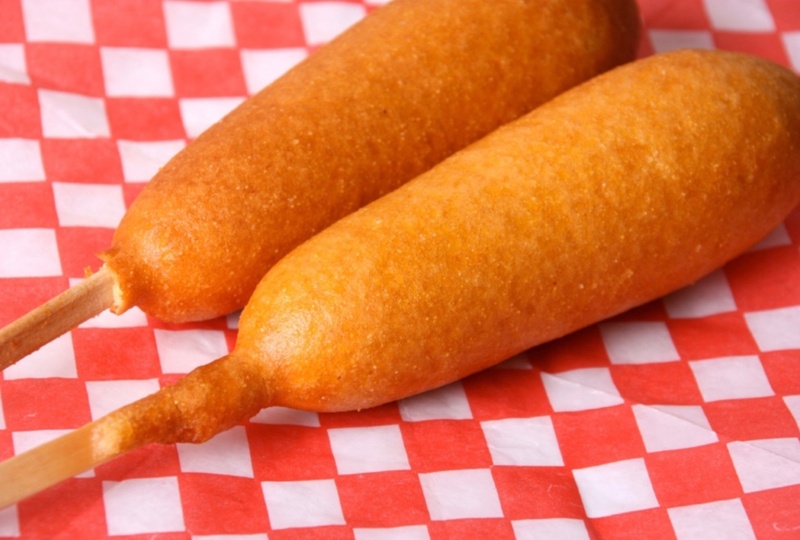 I am also not going to hold myself to posting every Friday. 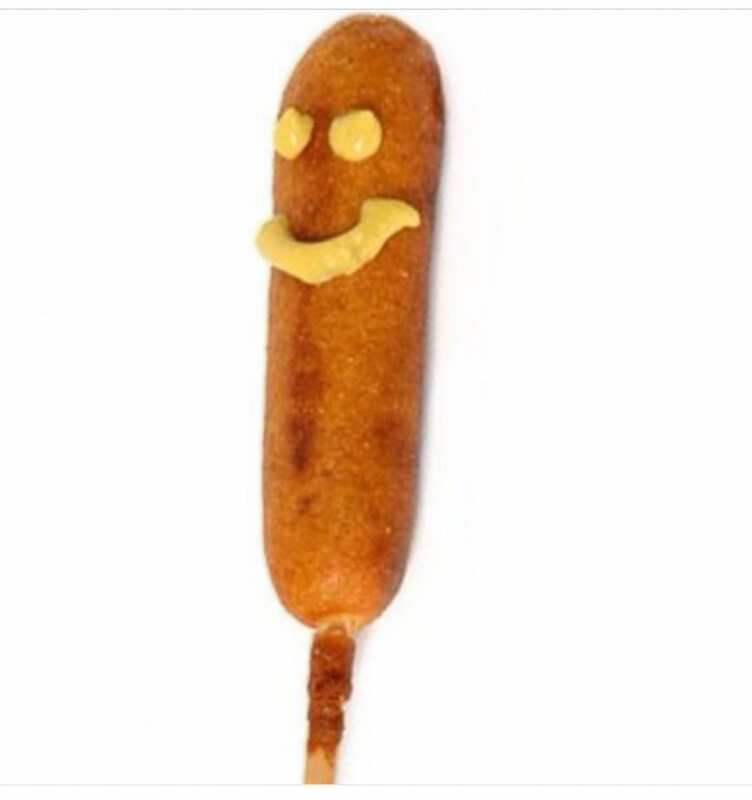 I am going to post whenever I have the time to put a post together …..so what does that mean for you ? Well if you are signed up to my blog you will receive an e-mail every time I post, if you are not signed up then you will just have to go check to see if there is anything new. Look foward to hearing from you with questions or requests for how something is done. 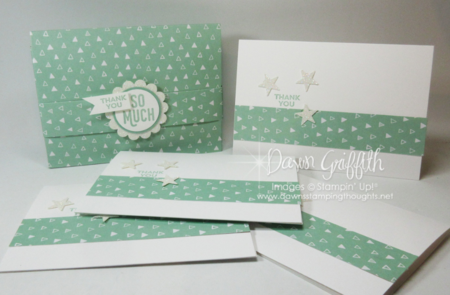 Oh PS… save your commerical cards that you liked …I am going to shortly post an idea for making little boxes out of them and then hanging them as decoration on your tree next year or just a decoration around the house or for gift boxes. 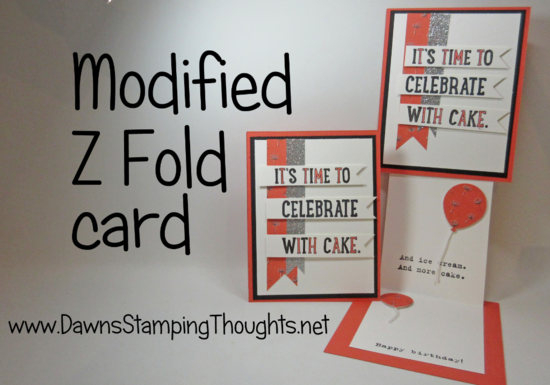 If you are like me you must be wondering JUST HOW MANY GIFT CARD PATTERNS DO WE NEED…HOWEVER…I must admit I liked this one due to the many layers and the multiple folds…so here is the link to DAWN’S Z FOLD GIFT CARD HOLDER..
Below is the z fold gift card info. I like the less bows on the balloons… they are cute but I think I would only have put them on the front of the card… also I like the stamping on the pop out part but not the rhinestones… I have tons of those things in all colors but I hardly ever use them… I don’t dislike them but somehow they didn’t seem to go with my egg/ jellybean format and I don’t think I would use them with the balloons either but do what you like its your design. 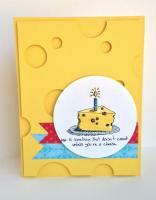 Below is another card that saw on IMPRESS RUBBER STAMPS NEWSLETTER its a sample from a class I think in any case I loved it and am going to make one for MY BFF’S hubby’s Bday but thought the idea was so cute of using various circle punches or dies and punching out holes in the yellow card so that it would resemble cheese…. 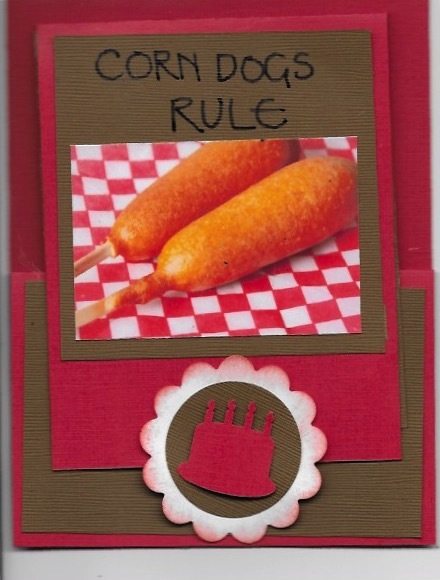 don’t ya just love it… anyway here is the image and I went on line and found a graphic of a wedge of cheese and printed several of them so I could make a few cards…. Cups from old Book pages…these ARE just so lovely and if you had a friend who was into tea or tea cups this would be such a lovely idea….